With extra 30% Entry Bonus, get your cover before 31.10.2015. 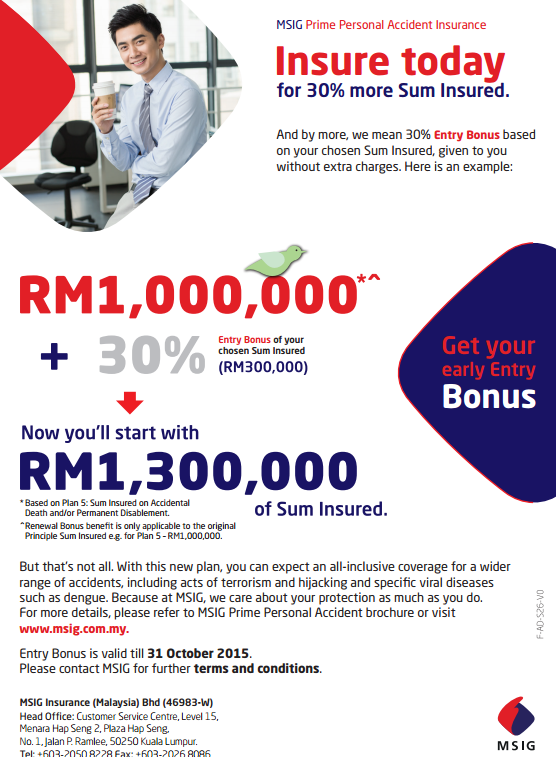 AND another up to 50% renewal bonus (10% each year), total will be 180%. 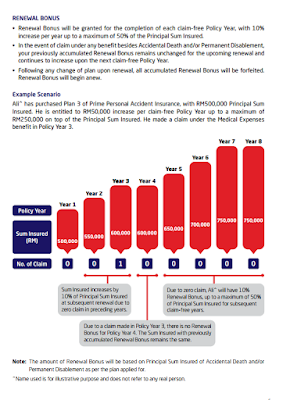 PRIME PA has 5 Plans from RM200,000 to RM1,000,000 for you to choose.